To the President of the United States, Syed Barack Hussein Obama: I, El Sheikh Syed Mubarik Ali Shah Gilani, El Hashmi El Hassani wal Hussaini and my Qadri followers hereby come forward to proffer our assistance to act as much needed intermediaries to play an integral role in sorting out and bridging the gaps amongst warring parties in the massive conflict in Afghanistan. To the President of the United States, Syed Barack Hussein Obama: I, El Sheikh Syed Mubarik Ali Shah Gilani, El Hashmi El Hassani wal Hussaini and my Qadri followers hereby come forward to proffer our assistance to act as much needed intermediaries to play an integral role in sorting out and bridging the gaps amongst warring parties in the massive conflict in Afghanistan. We can, and must, collectively bring an end to the senseless loss of human lives and the growing number of victims. Assuredly, I and my followers are genuinely and personally grateful for your efforts and considerations in this laudable undertaking and are quite confident that all the worlds’ citizens share in this appreciation as well. However, we are requesting, and hopeful, that at your upcoming meeting, Syed President Barack Obama, a mandate will be ratified to bring all American troops home. This war is not winnable. It is, therefore, our responsibility before the One Almighty Creator, as civilized men, to show the utmost respect for human life. Indeed, man has been made Almighty God’s vicegerent on earth and is answerable for the manner in which he bears this trust. Because of this trust, the International Qur’anic Open University staff and students have been, and will always be, available to provide our services and support in promoting an end to all war and human suffering –as we have demonstrated for the last 30 years by sponsoring several interfaith rallies at the United Nations and in Washington, D.C., calling for an end to war. 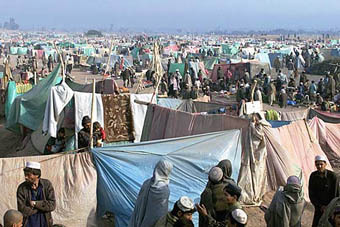 In addition to this, we have traveled abroad for rescue efforts and to provide medical relief for the quake victims in Pakistan; bought and distributed food, medicines and tents for Kashmiri refugees; were quickly on hand in the midst of the devastation left by Hurricane Katrina; and were on site within 24 hours at Ground Zero assisting in the first responder efforts there. The nature of these acts is simply our duty and purpose as Sufis; yet, we feel confident in appealing to your refined sense of humanitarian responsibility as well. Previous articleAfter More than Two Centuries, is a Falkland Islands Resolution Possible?